In this episode, you’ll learn what the Burning Man community can teach us about radical self-acceptance, following our intuition, and developing deep, spontaneous, creative, and healthy relationships. 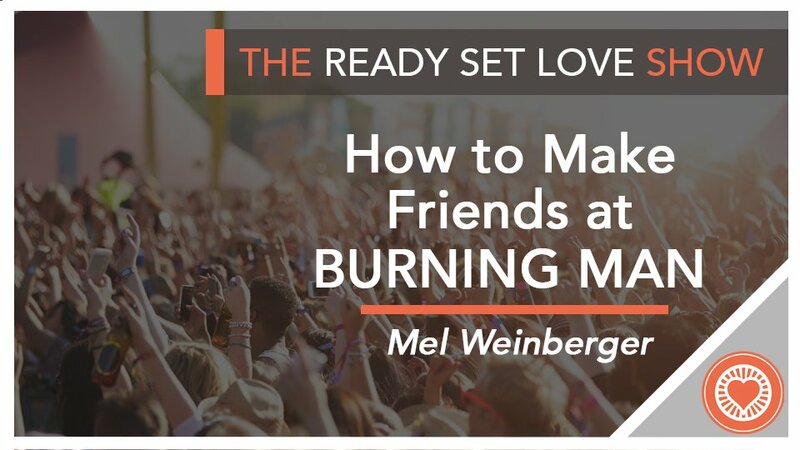 My guest is Melanie Weinberger, a human potential activist, life coach, and TEDx international speaker who works with entrepreneurs, CEOs, thought-leaders, and social activists to help them create change in themselves and the world. We explore how the social environment at Burning Man and the culture that extends from it encourages us to live more authentically and how this can spill over in positive ways into our day-to-day existence. I hope this episode will inspire you to step out of your comfort zone, try new things, and find new ways to relate to the people around you. Enjoy!